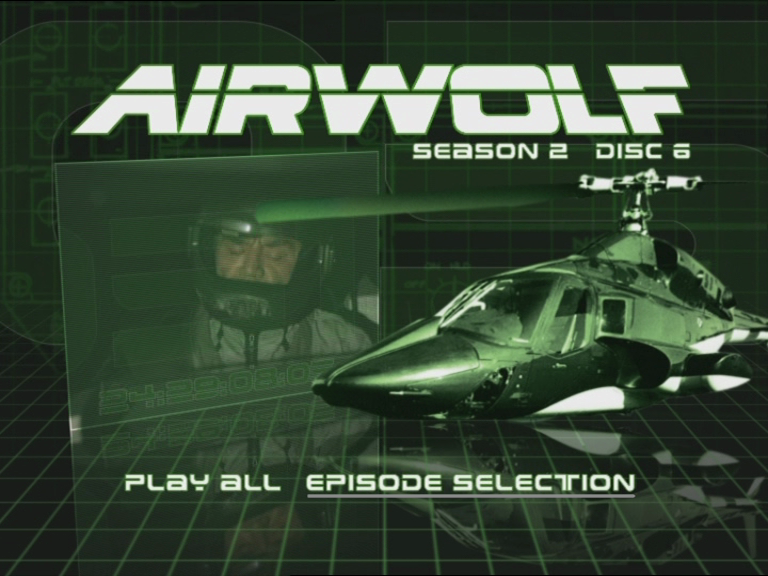 Get ready to take off for action and adventure as all 22 one-hour episodes of Airwolf: Season Two soar onto a spectacular six-disc DVD set for the first time. 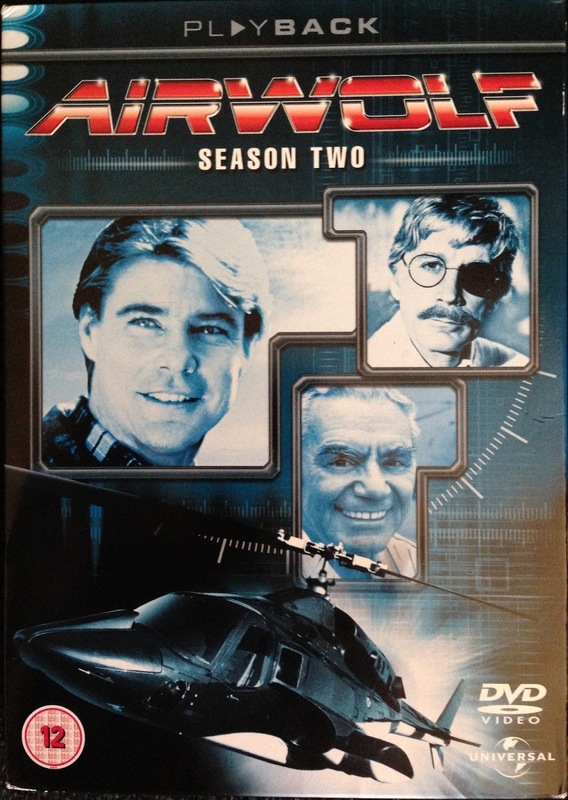 Cruise the skies once again with Airwolf, the cutting-edge, high-tech surveillance and defence helicopter of the future, and Stringfellow Hawke (Jan-Michael Vincent), Its reclusive renegade pilot, as they take on dangerous secret missions from Afghanistan to the jungles of Central America. 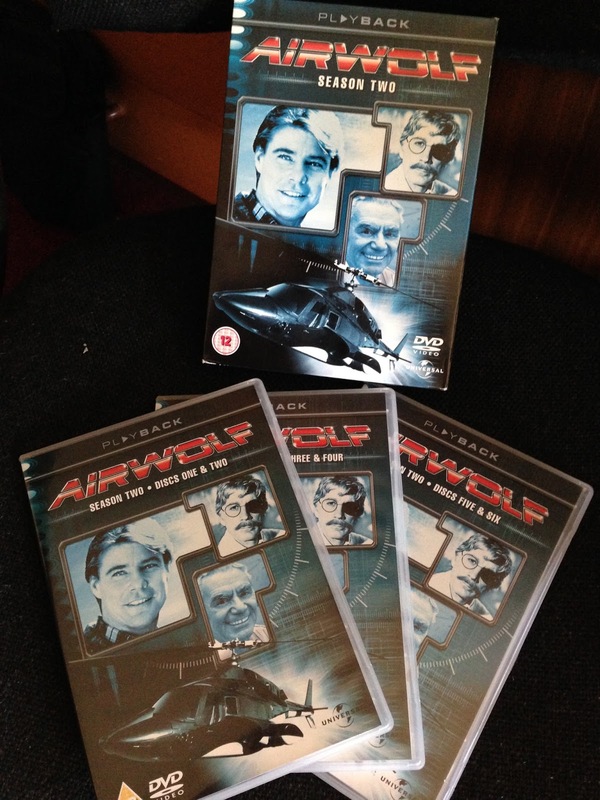 From drug runners to dambreakers to demented businessmen, there's no one who can hide from the Airwolf teams high-tech gadgetry and fighting power. Co-starring Ernest Borgnine and Alex Cord, this suspenseful and daring Emmy -nominated series from TV producer Donald P. Bellisario (Magnum P.I, Quantum Leap) is sure to be a thrill ride fans won't want to end! I always though they only brought him in to kinda slap J.M.V into touch... that whole "listen buddy.. your replaceable.. so get it together" But that's just my thoughts on that scenario and not an official thing. Such a shame the companies don't bother with any extras or truly high-tech menus that the likes of these dvd creation programs can export. 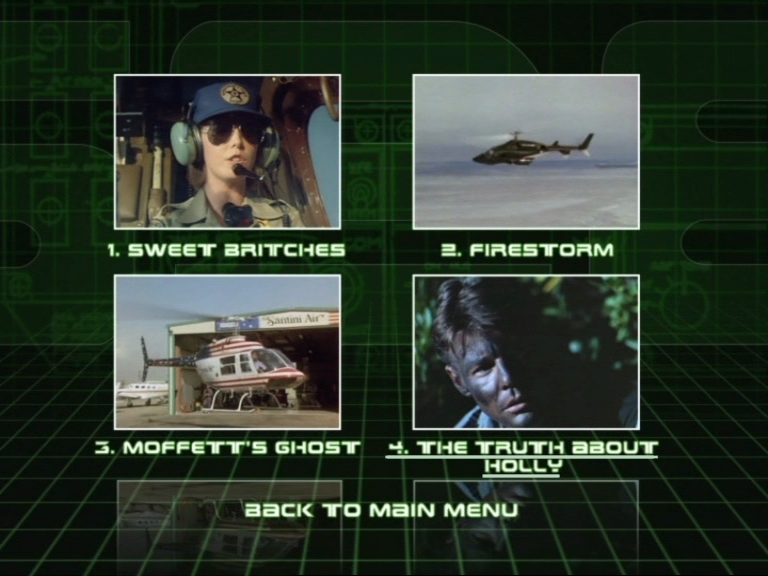 This set doesn't even have chapter selection, only episode choice. 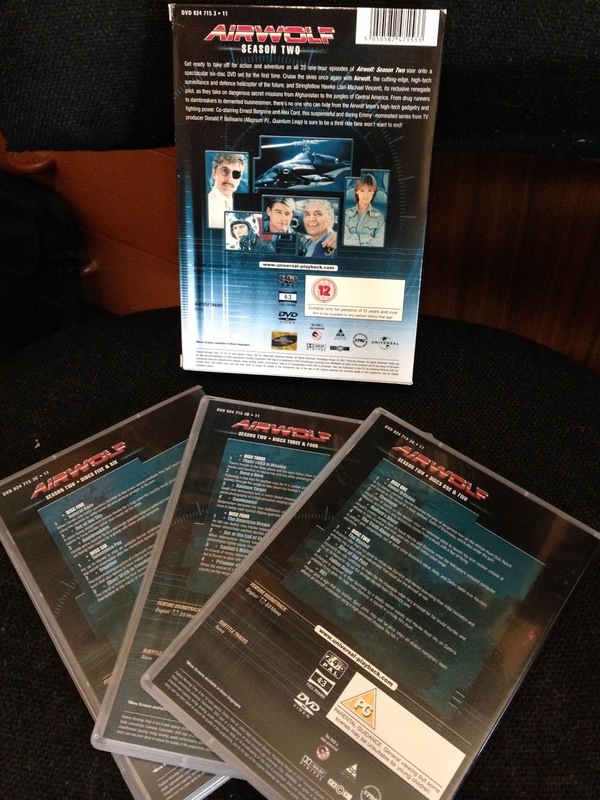 All 6 Discs feature the same 52 second animation while irrelevant numbers scroll across the screen. 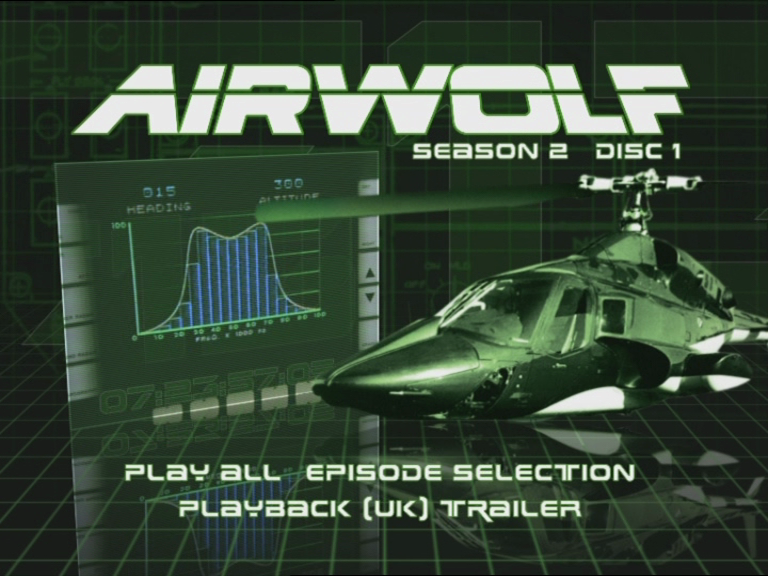 The Music playing is just the airwolf opening theme music. The animated menu on all 6 discs is the same clips.